Our local weatherman predicted a 90 percent chance of rain today and to most parents this means their kids will be trapped inside with nothing to do. What most parents do not realize is the learning experience being presented to them right under their noses. When I was a kid my friends and I would revel in the thought of going outside following a torrential rain storm. 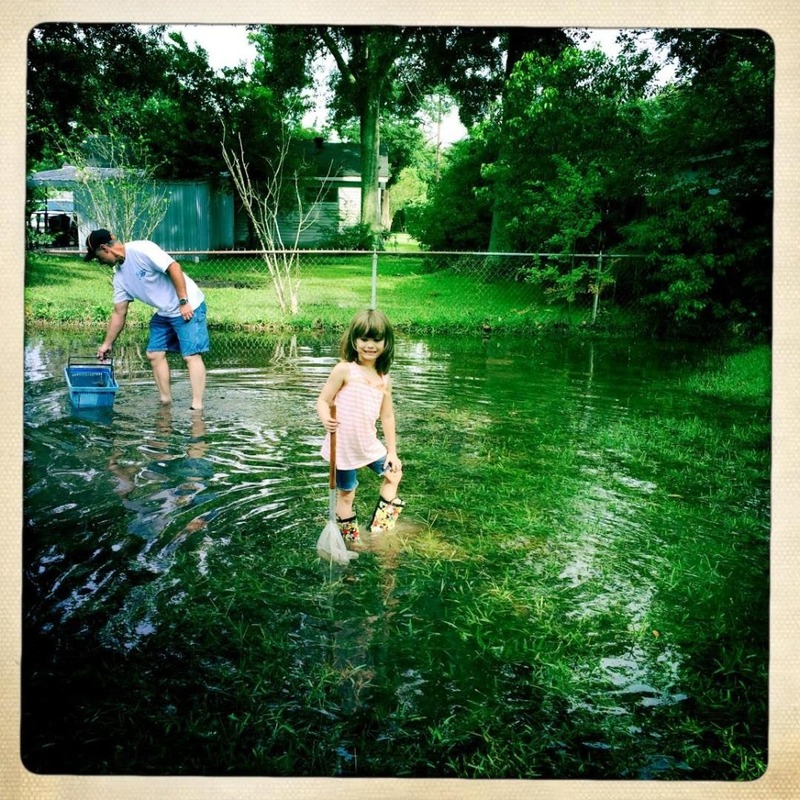 We would wade the rain swollen ditches barefoot in search of frogs, crawfish, amphiuma, snakes, whatever came our way, collecting everything in buckets. Well today the bottom fell out for most of the morning leaving the ditches and neighboring yards swollen with rain. My grand-daughter and son came over and I thought this was a perfect opportunity to try out her new wading boots and to get outside for a little adventure. As I've said before- I want my grand-daughter to grow up learning and knowing that nature is not all bad and scary. That nature is beautiful, inspiring, and something to be cherished. She grabbed her boots and net and we searched the ditches up and down our streets. In the distance I could hear the loud trill of gulf coast toads coming from my neighbor's backyard. His property is low and collects lots of water following a good rain so I called him and asked his permission to enter. 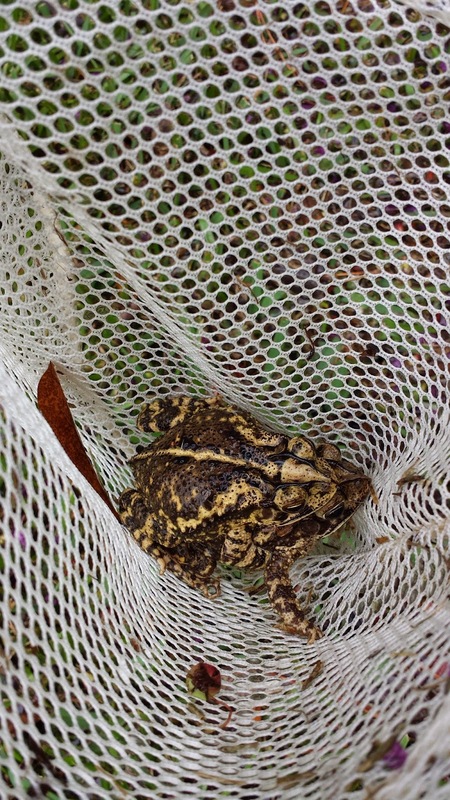 We found the water was ankle deep and it didn't take long for grand-daughter to spot her first toad or.........toads. She scooped them up with her net and that's when I noticed that love was in the air. She is very observant and asks lots of questions and wanted to know why one was riding atop the other. What do I say??? She's only six years old so I took the easy way out and told her one was giving the other a ride. Before you know it we found another pair then another and another. 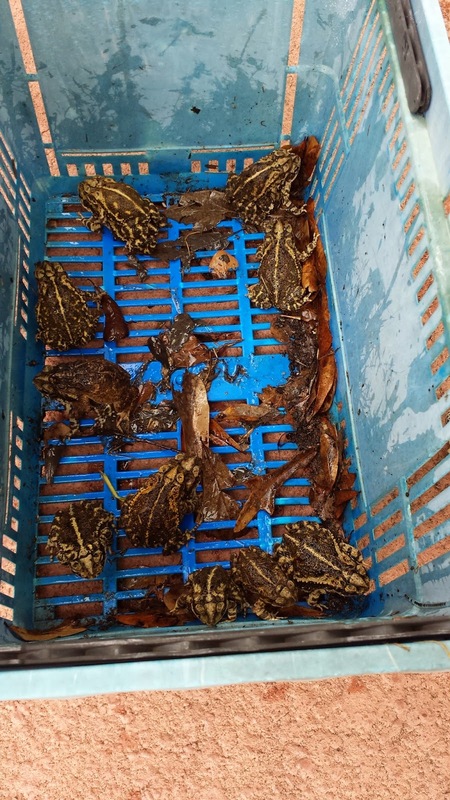 When it was all said and done we captured around 20 toads. 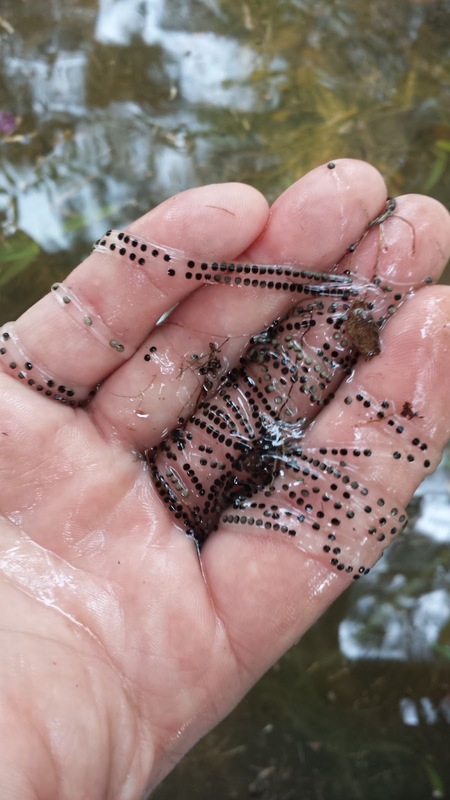 Heavy rains trigger the mating instinct of these amphibians, proven by the long gelatinous strands of submerged toad eggs we found in different areas of the yard. 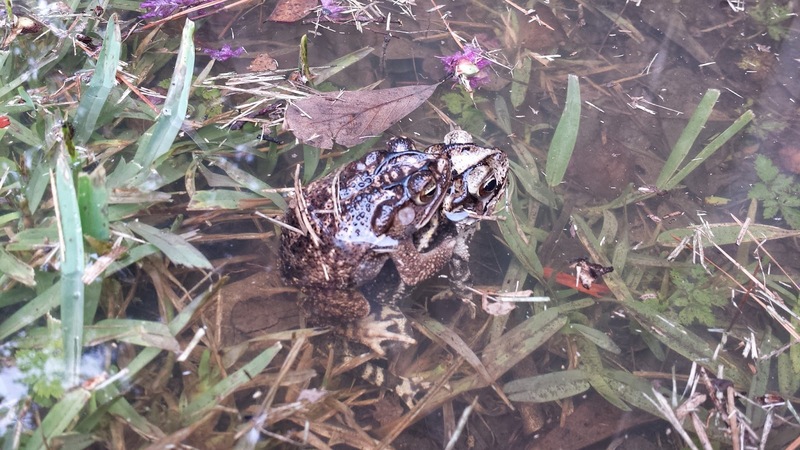 These eggs will develop rapidly and soon produce a new generation of toads. Something as simple as a rain-filled backyard, a net, and a pair of rubber boots provided not only a learning experience, but also a memory that my grand-daughter and I will cherish for years to come.